Mumbai, 19th January, 2017: 2017 has ushered in with it a season of celebration through weddings in India! Celebrating this season of togetherness, ORRA has launched exciting offers on gold jewellery that will run until the 17th of February. 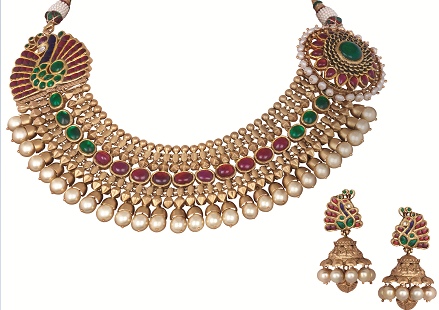 Patrons will be privy to offers on exchange of gold jewellery as well as flat discounts on making charges. Walk into any of the 32 ORRA stores across 24 cities today, or log onto www.orra.co.in to avail of the exciting offers. ORRA is one of India's finest jewellery retail chains, having spread its glow with 32 stores across 24 cities. It has been at the forefront of design leadership and product innovation with 5 global design centres in Tokyo, Hong Kong, Antwerp, Mumbai and New York. ORRA’s designs are handcrafted to perfection by master craftsmen who have inherited the centuries year old legacy of jewellery making. ORRA has a host of collections set with brilliantly cut diamonds. While Belgian diamonds have been ORRA’s specialty, the addition of 22kt gold jewellery in 17 of its stores makes ORRA a full service jeweller, offering its customers a feel of the best designs and a total shopping experience. Solitaires are available in varied cuts and sizes. Innovation is the key to success and is proven right with the introduction of the ORRA Crown Star, a 73 facet solitaire v/s the regular 57 facets. These facets are aligned in perfect proportion to provide maximum brilliance. The accuracy with which the diamond is cut gives it an unmatched brilliance.